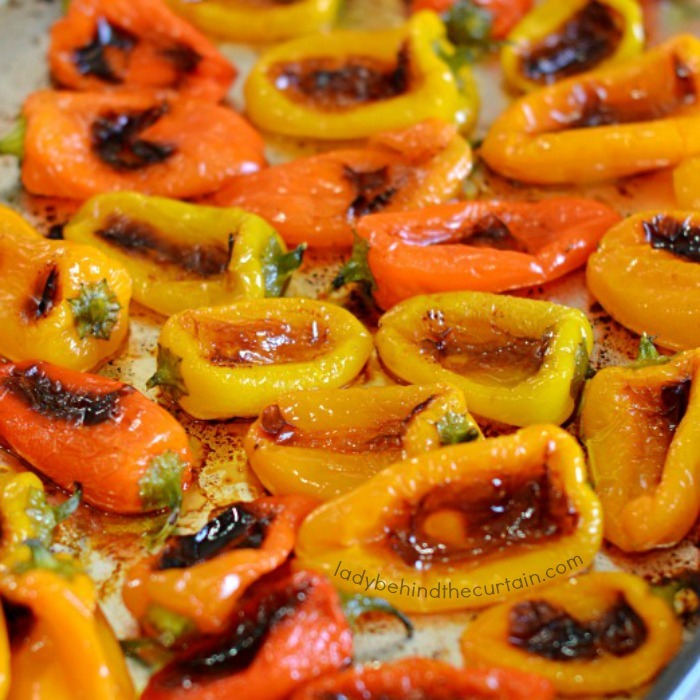 Roasted Sweet Mini Peppers: In the summer you can find bags full of the beautifully colored peppers. You can only create so many recipes with them before they go out of season. So I decided this year to roast these sweet peppers and freeze for later. Now I can make fresh roasted pepper recipes year round! Another great pepper to roast are the Hatch Chile Peppers. Bring a pop of flavor to sandwiches, hamburgers, tacos, and soup with these delicious roasted peppers. Don’t forget about chili verde! If you don’t like spicy chiles then these are the peppers for you. Lots of flavor with a little kick. 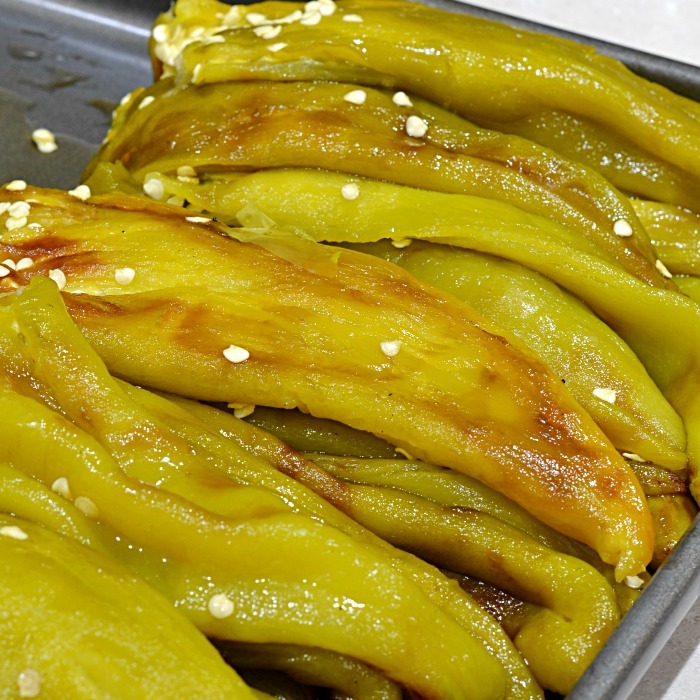 Click here to see how—->>>>ROASTED FRESH HATCH CHILE PEPPERS. One of my favorite sandwiches has roasted peppers (among a lot of other yummy ingredients). Want to know what it is? I promise you won’t be disappointed! Click here for the recipe—->>>>SHERYL’S FAVORITE ALL TIME SANDWICH. 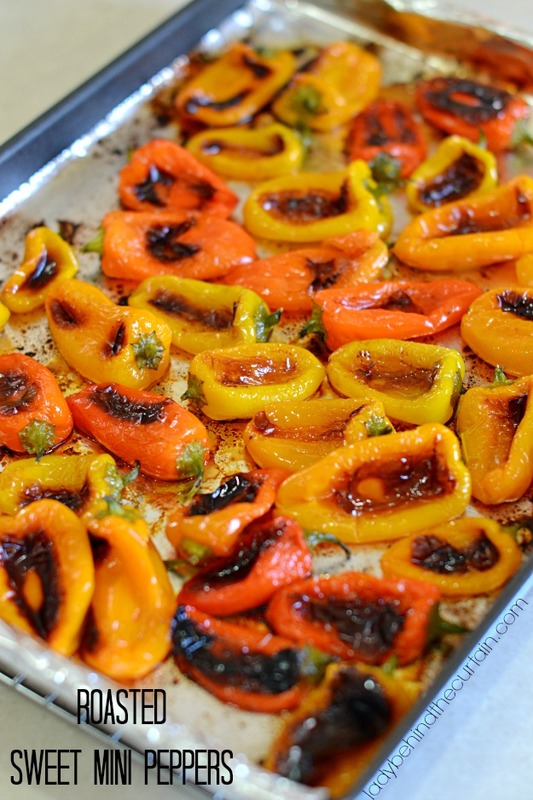 Add these Roasted Sweet Mini Peppers to a salad or sandwich. Blend them up to make a delicious salad dressing or sauce. Roasting is so easy to do. ONLY 2 INGREDIENTS! Using these mini sweet peppers adds beautiful color to any dish. Once you have your Roasted Sweet Mini Peppers you can make my Roasted Sweet Pepper Sauce Concentrate. Store in the freezer for and easy weeknight sauce of a last minute spread for appetizers. 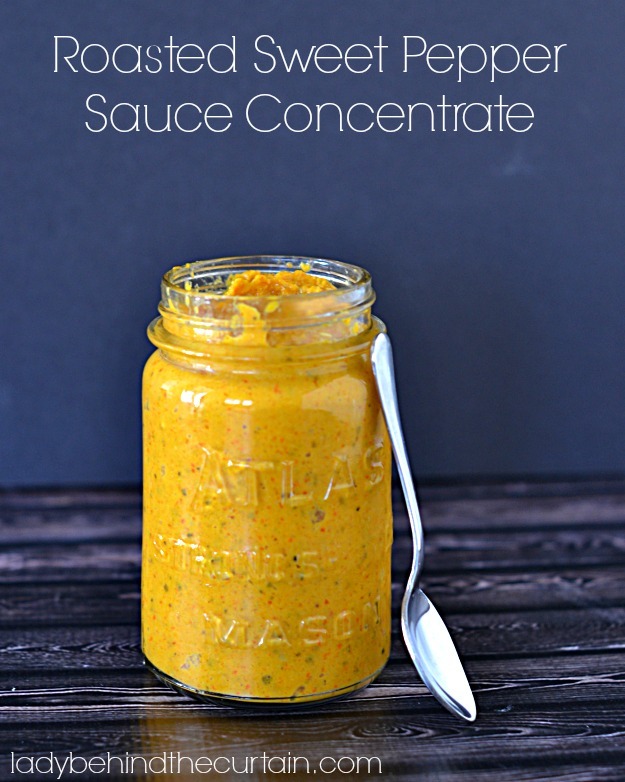 From the Roasted Sweet Pepper Sauce Concentrate, you can make Roasted Sweet Pepper Spread, perfect with pitch chips. So versatile you can serve it at a Bridal or Baby Shower, to hungry game watchers or for last minute entertaining. 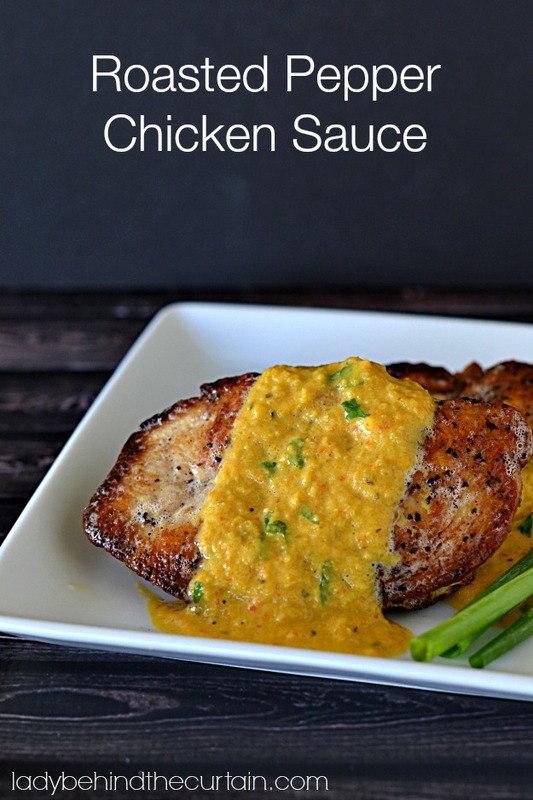 You can also make….Roasted Pepper Chicken Sauce.. Full of fresh sweet pepper flavor. Serve as a dipping sauce for chicken tenders or add on top of a grilled chicken breast. So sweet and delicious you can eat them right out of the oven. Line a large 1-inch rimmed baking sheet with foil. Add peppers, drizzle with oil and mix with hands to make sure all the peppers are evenly coated. Bake a total of 40 minutes turning peppers at 20 minutes. 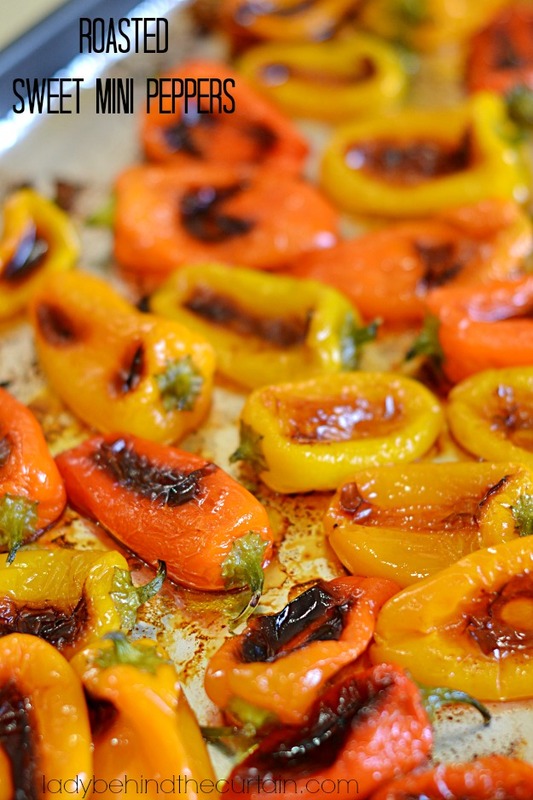 More recipes using roasted peppers you might like. ROASTED PEPPER SOUP and EASY ROASTED RED PEPPER HUMMUS RECIPE. I have hakf a bag of these and need to use them today. I was thrilled to find this recipe, but wanted to ask you what the stems and seeds are like when they are eaten. The picture appears to show them whole. Hi Lynne, Once the peppers are roasted, remove the stems and seeds. Do you have to take the skins off? Forget making sauce, spread, etc. Just eat these roasted. Yum! I will put them on snack cracker with a little bit of cream cheese spread for appetizers. Good hot or cold. This is a keeper! 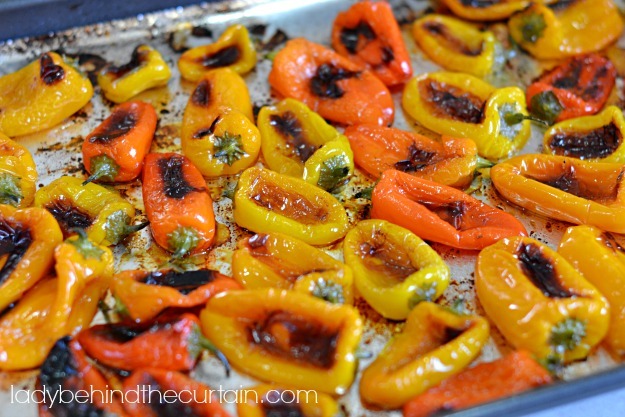 How youfreeze the roasted mini peppers? Hi Janine, Just place them in a zip top bag and place them in the freezer. How long do they last in freezer? Hi Sayble, I’ve had mine in the freezer for several months. I love that store Rose! These were delicious and made the whole house smell so fragrant! Hi Ellen, There’s usually about 3 large red peppers in a jar. I would place the peppers in a zip top bag to freeze Cathy. I’m so glad I found this site. Thank you, Sheryl, for posting! It’s exactly what I was looking for. I Would Like To Add Sweet Onions To My Peppers. Shall I Cook The Onions The Full 40 Minutes, Or Should I Add Them After The First 20 Minutes??? Hi Joey, I would try the whole 40 minutes turning over at the 20 minute mark. Maybe you could keep them a little separated so if they do get too dark you can take them out of the pan. I remove the seeds and stems prior to roasting, makes I a little easier. These are delicious on sandwiches and they are usually all eaten before I have a chance to freeze them. I have only used the mini sweet peppers so far. Will try the large ones next time. Glad to hear you love the recipe Terry. I’ve only used large red peppers to roast. I have 2 bags of mimi-peppers (can’t resist BOGOs). This sounds like a great alternative. Can’t wait to try this. Well they are in the oven as I’m writing and it smells Devine in here. Thank you so much for the simplicity of this process! This is my guilty pleasure lol I lovvvvvve these peppers. Yummy things to come Lisa! After you freeze them, what’s the best way to reheat? Do you put back in oven? Hi Melissa, That depends on how you’re using them. Usually it will be in a recipe so they will be heated that way. Can I take stems And seeds out before roasting? I think they would roast better if you waited Carmine. Otherwise you’ll have the meat (inside) exposed and you don’t want that to dry out. Making this today. I’m going to add onions and garlic too! I just finished making these. Seeded them first, no turning.I added some granulated garlic. So delicious. I thought of using them with pasta, artichoke hearts, feta, and calamari olives for a Meditterean idea. Any thoughts? Hi Agustin, I put mine in a freezer safe zip top bag and freeze them. I cooked the peppers and started to taste one . It. Was hot! tasted the raw one and it was not hot! What ‘s happening? Do you take the seeds and vanes out before cooking? That’s weird. Maybe you got a batch that was strangely hot. The mini peppers I use taste just like bell peppers. Wonderful! I put in my vegetable lasagna for a baby shower. Great reviews. I make one meat lasagna and one veggie, with yellow squash and zucchini! Can these be stuffed with cheese and then roasted? I love that idea Anne! I would yes! Thank you. I am the only one in my house that eats them. Usually they go bad before I can finish a bag. I just roasted them and they are delicious! Next time I go shopping I am going to buy multiple bags! I am planning on roasting them and then stuffing with a shrimp mixture, will they be to soft to fill by cooking for the full 40 minutes, I would like them to be alittle crunchy. Hi Wendi, I would stuff them while they’re still raw, roast the peppers and cook the stuffing together. At .99 a lb right now i have 2lbs going into the oven. I will serve some with my chicken picata tonight and the rest for salads and subs throughout the week. Sometimes throw in a few whole garlic cloves, slightly browned slices of sausage, radishes and about 5 minutes before they are done, a slice a plantain and fold it into the mixture. The plantain adds a bit of sweetness. Wow Reg! That sounds awesome! I actually used our stovetop grill to roast the peppers but thanks for the oven idea. 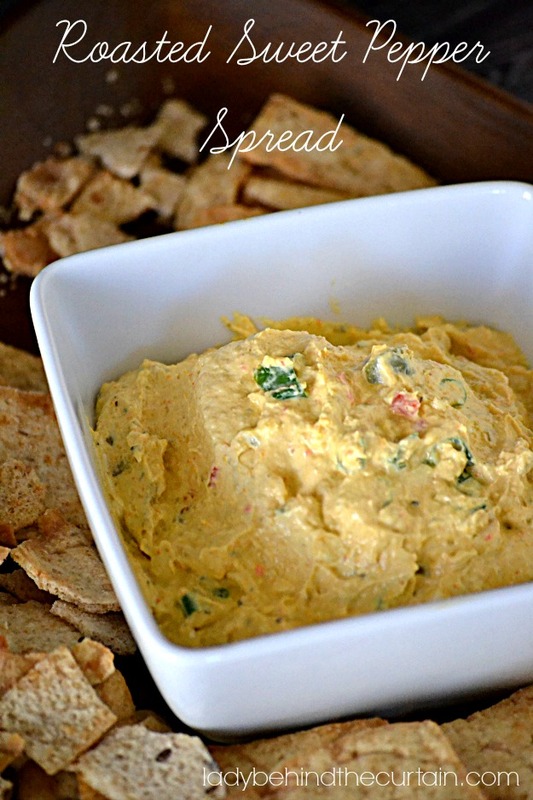 If anyone makes home made hummus, they are awesome added to the chick peas. How long will they would they last after roasting if kept in the refrigerator? Hi Steven, My rule for all fresh food is one week. Do I need to take the seeds/membrane out to eat them after roasting? If I do, what’s the easiest way to remove? They are halfway done roasting and smell so good! Hi Michelle, Cut off the tops and run your thumb down the center. The peppers should be soft enough. Delicious! Thank you for such a wonderful and easy recipe!